Researchers at the Mainz University Medical Center discovered a new signal pathway employed by skin cancer cells to avoid attack by the immune system. In an animal model and through analysis of human tissue samples, Dr. Toszka Bohn, Dr. Steffen Rapp and Professor Tobias Bopp were able to demonstrate the significant role played by a specific protein called ICER. Melanoma and liver cancer are becoming more widespread in Europe and the US. Whilst both diseases progress very differently, they are among the types of cancer which are most likely to be fatal in the Western world. Cancer cells that develop resistance to drugs, pay a price for this, by simultaneously developing a new vulnerability. If this acquired vulnerability can be identified, it may be exploited clinically. The outcome of viral myocarditis is closely associated with the immune response of the affected individual. An inhibitor of the immunoproteasome, a protein degradation complex in immunocompetent cells, reduces the extent of the inflammation and thus also the damage to the heart during myocarditis. When the heart is put under stress during exercise, it is considered healthy. Yet stress due to high blood pressure is bad for the heart. Why? And is this always the case? Researchers of the German Centre for Cardiovascular Research and of Heidelberg University Hospital have obtained new findings which indicate that a previously undetected signal pathway causes or protects from heart failure - depending on the type of stress. Research at the University of Southern Denmark has revealed that a new combination of clinically tested drugs inhibits the growth of tumors, thereby potentially improving patients' survival. The most aggressive variant of brain tumor - glioblastoma - has an average survival rate of 15 months. There is therefore an urgent need for new treatment strategies for this group of patients. Stem cell transplants can save lives, for example in patients with leukemia. However, these treatments are not free of risks. One complication that may occur is graft-versus-host disease (GVHD), basically donor-derived immune cells attacking the recipient’s body. As is well-known, space flights bring with them a unique set of health hazards. That includes bone and muscle deterioration. 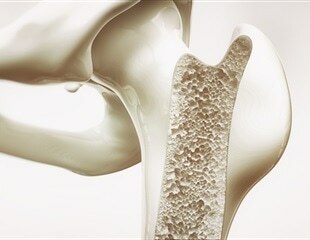 Loss of bone density is currently one of the most serious problems for astronauts. A new study led by scientists from the Florida campus of The Scripps Research Institute (TSRI) sheds light on a signaling circuit in cells that drives therapy resistance in prostate cancer. Fungal infections are a serious health risk. They can be harmful especially to patients whose immune system is compromised through illness or chemotherapy.